What you have just read, serves as the introduction and premise of the Winds of God, The Resurrection, for it is the fulcrum around which all the rest turns. It is the Alpha/Omega Medicine itself that ends the old world and begins the new. The new world is thus beginning from an entirely new divine dispensation and decree. We begin again at the fourth dimension as we go on through eternity. If you study the Hopi teachings, we have just left the fourth world and entered the fifth. All of us alive today have been living through the twilight of worlds, like the changing of the guards of the “Twilight Zone”, if you will. This, of course, explains the extraordinary stresses and confusion that have and are going on and will continue till completion. As all things have a life cycle of same principle of birth/compression – death/decay at the end of the fourth world life. Remember the nearer the end, the more rapid the decay. Metals demonstrate this most profoundly to us in the form of radioactivity. 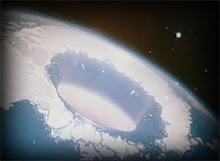 I find it so ironic that the ultra decay death that has been brought forth by fallen man, has in fact ended up being the very springboard for the ultra compression of new life for a new world and not only that, but also has caused the immunity to any further man-made destructive activity in the process. So those who have promoted death have in fact promoted life – In fact, super-life. Now to explain in more detail the dispensation; I say that nothing has changed in the law; it has only been quickened. In the fourth world, destructive activity has always been the cause of disease and degeneration. It’s just that the process could take years or decades to complete. In that amount of time, a great deal of damages could occur to life environment as we have so painfully experienced. Now, in the fifth world dispensation, destructive activity begins to complete itself immediately because the cellular shield begins to weaken right away. What used to take decades or years to complete, now only takes months, weeks, or even days to complete, depending upon the intensity of destructive intent. Therefore, very little life damage to the environment is possible because of the very short time one has to organize a destructive momentum. So you can see that armies and police are no longer necessary to maintain order as in the past. Order and balance is maintained automatically by the radioactive environment. One has only a short grace period to turn away from destructive intent or momentum. If he or she fails to correct themselves and come once again into divine order, then by their own hand, they have in effect, placed themselves against a wall to be shot by a billion tiny bullets, as traitors to life. They thus become their own executioner. Now this principle is no different, as you can see from the past. It’s just that no one else need get involved unwillingly. The process of law is simply quickened and more pure. Where is the line of decay, you might well want to know? Well, there is no line, only degrees, if you are balanced in eternal being. The degree of deviation from that perfection directly determines your degree of longevity. I would say that there is some sort of line where you may plunge into direct war with God and intend massive destruction, in which case your longevity would be measured in days as your shield would diminish to nothing. This picture, then I think, clearly illustrates one of the new qualities of the new dispensation of the fifth world, a world quickened into higher octave of life. Now, some radioactive material takes 250,000 years to decay to safe levels, so you can see that a great deal of time has been bought for this true light world. 250,000 years is but a heartbeat to the life of a planet, however, it should be more than enough time to generate a new “Starman”, if not in fact en entire planet of Ascended Masters. Ah Ho. At some point of total planetary ascension, the radioactive “guard” would of course no longer be needed. 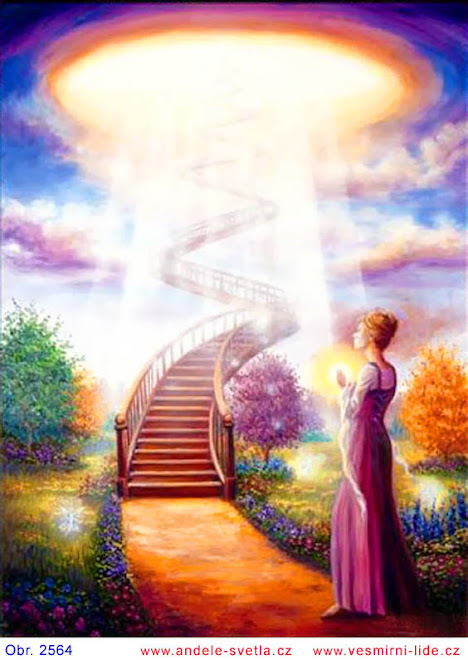 Now that we have covered and gone through the Alpha-Omega experience, I want to turn to the shedding of light and truth and to the nuts and bolts of the creation and outpicturing of the fifth world and how to transmute or transit from here to there and that “there” can look like. This is going to be a general treatise. I’m not here to do anyone else’s work for them. I have my own to attend to. I only wish to start the ball rolling and present an outline and input from my own experience and meditation, for all light people have input and work to add and that of course creates infinite possibilities. I thus intend here to but add my two dollars worth at the races. If any or all I present “works in the weave”, then that would be wonderful. So be it. I’ve been chatting with the Sisters on the topic of the Darkies and their current activities. I asked questions about these attacks many are experiencing now, manifesting in various ways. I wasn't sure this was supposed to be public, as it began personally and I recorded it on my cell phone, so couldn't make out a couple of sentences, as often happens, so forgive please. Nada said this period for the Darkies is incredulous because all they have on their side now is/was perhaps some time and these attacks…and they see the great and collective powers that we once had, now being reclaimed, as a serious thwarting of their own …or for what they thought was theirs. Nada: Nothing can stop you ones now, no matter what they attempt. You have all stayed the course so that you might rise to the challenge and the fight …as these ones (SK :the darkies) are now presenting it. There is no chance of their success -the outcome is already decided; has occurred. And these ones are being suctioned up, vacuumed… up and away… to a destiny of their own creation. Of course if they had not experienced such resistance to their existence for a 26000 year cycle or more (*...??? *) makes all this rather incredulous for them that their plans should be thwarted in this manner…by a faction they long thought were defeated and under their control. Such is the arrogance of the Dark. And so let arrogance be a lesson for all of YOU. That you might forever observe any shortcomings in this area and in your expression. That you might always keep yourselves in a state of both humility and self assured confidence. For the line is fine between the two. That is all for tonight …just a short notation and explanation, of sorts, upon that which you dwell. I AM NADA loving you all most tenderly. Ah indeed. Yes, I am Mary returned. Might I continue ? SK: Sure, but before you do, I want to say I was fooled earlier on by the Darkies. They tried to impersonate some of you and other friends of the Light. Why are they being allowed and given permission to dismiss all the protocols and the universe’s laws that state when asked three times beings should identify who they are and whether they’re of the Light or not? MM: Beloved one, we have already mentioned this. Their disregarding and dismissing of all protocols and all agreements in this most desperate hour of theirs...(*couldn’t make these little bit out on my cell recorder*) and are now on an all out attack to throw you ones in as much disarray as possible. Be that through confusion, doubt, distraction and everything else that takes you away from your away place of stillness, away from your Selves and thus away from Source. MM: All you ones have within is everything you will need to know in the coming times as you step forth to share of your wisdom. Nothing NEEDS be added unto you. Some of you ones have your concerns. For in truth, you ARE ALL that IS... already complete. And it is a question only of revealing this - to your Selves. When this is done, you will step forth with confidence, knowing fully who and what you are, understanding all that previously was veiled from you. And your multi-dimensional nature will become apparent. You are not one dimensional beings, beloveds. You are so very, very much more (said with an unusual amount of Mary passion) than you think and believe yourselves to be. Or as this one says ‘be-lie-f’ yourself to be. For indeed, the lies you have told yourselves over millennia about your potential is staggering. And there’s less to undo now than there is to re-member.